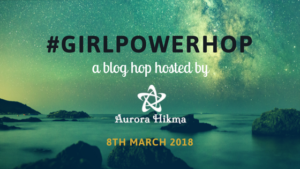 A series of blog posts written by women to celebrate fellow women and inspire them on International Women's Day. A short blog post celebrating the contributions of contemporary female translators, from our own blog. A blog post re-thinking the concept of women leaving their children behind to make money abroad, from Mommy’s Next Step. A discussion on healthy eating habits the Sunnah way and our thinking around food with Sr. Oum Chouaib, by Level 10 Muslimah. A poem penned with respect to the International Women’s Day, by Umm Afraz Blog. A blog post on ten influential Muslim women who are not only achieving their goals but are inspiring people around the world merely using social media where millions of consumers use it for entertainment, from Zeneefa Zaneer’s blog. Feeling inspired? Share this link to inspire others as well!